If you are following a ketogenic diet for weight loss, then you are up on your latest metabolic health knowledge! While it can be a powerful strategy to burn fat, it is possible to hit roadblocks along the way. Sometimes it is necessary to investigate underlying issues and utilize weight loss hacks to keep you moving in the right direction. In this article, we will be discussing why someone may have a hard time losing weight on a ketogenic diet and ways you overcome any roadblocks you encounter. First and foremost, it is important to understand certain health issues that can stand in your way. Once those have been considered, weight loss hacks can supercharge your metabolism and enhance your ability to burn fat for life. People hear about the ketogenic diet and decide to start using it with high expectations of miraculous weight loss in a short amount of time. 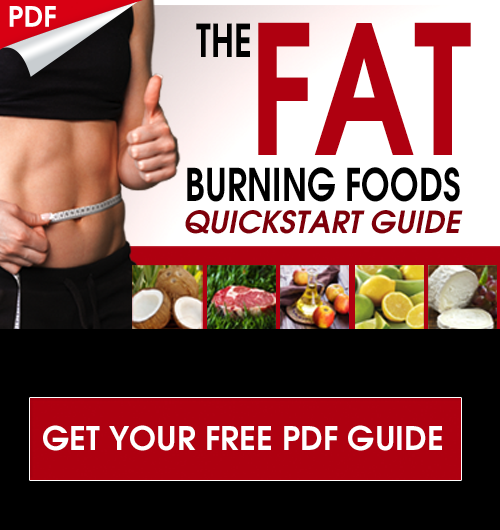 As far as I know, it is one of the best strategies for quickly and safely burning off excess body fat. When someone does not experience the rapid success that they have heard from so many others, it can be frustrating. Everyone responds differently and it is important to understand what factors influence your ability to burn fat. The following are some of the reasons why you may not be losing weight. You will want to consider these before beginning with the weight loss hacks detailed later on in this article. First and foremost, you may simply not be in ketosis. You may be consuming plenty of fats and think it is considered keto, but without some way of measuring your ketones, it can be hard to tell for sure. The first thing you can do to make sure you are in ketosis is purchase a ketone monitor and measure your ketone levels. If they are elevated and your blood sugar is nice and stable, this lets you know that you are indeed in ketosis. Keto Mojo: This is a relatively inexpensive blood ketone monitor that also measures blood sugar. This is the most accurate measure of ketone levels. Nutritional ketosis is defined as having 0.5 – 3.0 mM/dL on your blood ketone meter. See if you are in that range. Most people notice the weight loss effect when they are up over 1.0 mmol. Be sure to test and see where you are at. For an effective option for measuring breath acetone there is the LEVL Breath Monitor and the Ketonix which are both excellent. The unique advantage of a breath ketone monitor is that it is a one-time expense as you do not have to continue to purchase test strips as with the blood monitor. You can easily check your breath ketones throughout the day and monitor your fat burning state and how you are responding to your meals. Some meals that you thought would increase fat burning, may actually kick you out of ketosis and using testing methods can help you determine this. One of the most common mistakes that may be keeping you from losing weight on a ketogenic diet is that you are simply not consuming enough calories. The old philosophy that weight loss simply has to do with restricting calories just doesn’t hold up. Your ability to burn fat has much more to do with your hormones and mitochondrial health. Balanced hormones will come from making the right dietary choices for you while mitochondrial health can be enhanced further with the weight loss hacks discussed towards the end of this article. If you are not taking in enough calories, the body will tend to go into starvation mode. While fasting and calorie restriction has its place (and it is one of the weight loss hacks mentioned later), restricting calories for too long can essentially shut down your metabolism. Try increasing your caloric intake, primarily from healthy fat sources, and see if this does any favors for your weight loss pursuits. Now this may seem like it is a direct contradiction to the last tip, however, it is possible to overeat on a ketogenic diet as well. When you are consuming lots of healthy fats, your body gets a much better ability to regulate hunger levels. This does not mean that you can constantly stuff your face with whatever keto foods you want though. Instead of thinking of hitting a specific caloric intake, think of it as a range that will meet your body’s specific caloric needs. Another thing to consider is condensing your eating window to a smaller number of hours during the day such as 10AM-6PM. Intermittent fasting is one of the weight loss hacks that goes very well with a ketogenic diet, strategies for this will be discussed later in this article. About 5% of daily calories from NET CARBS, Net carbs is the total carb content of a food with the fiber content subtracted. If you are someone who does better with some kind of tracking tool, using something like CRON-O-Meter (a popular dietary tracking tool) can be very helpful. Tools like this can be customized towards a ketogenic diet to help you determine your daily caloric needs. 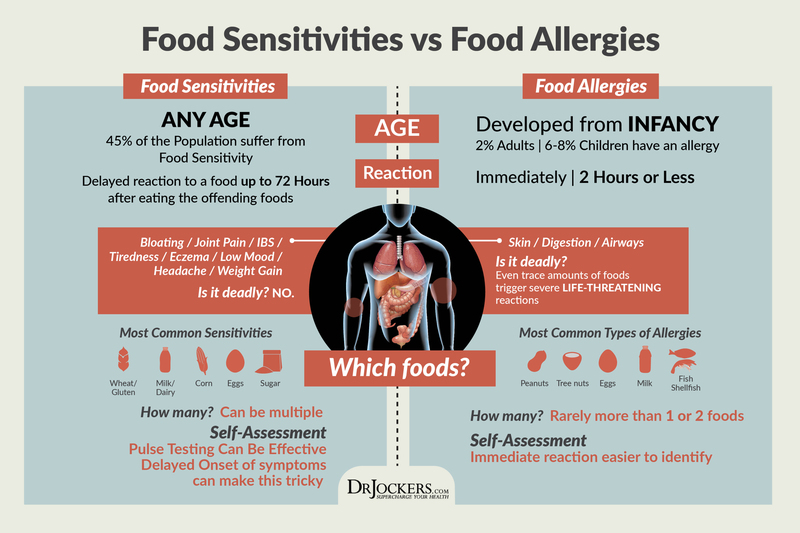 Food sensitivities and intolerances are tiny inflammatory responses that the body has to certain foods. Each person can have their own unique sensitivities that can be causing them issues. For most people, things like gluten, pasteurized dairy, soy, peanuts, shellfish, and in some cases, eggs can cause sensitivity reactions. You can have these tested for in a comprehensive Cyrex Food Sensitivities Panel or you can try performing a pulse test as is outlined in this article. Oftentimes, simply honing in on how your body responds to certain foods can have a substantial role in weight loss. Consuming inflammatory foods on a regular basis can inflame the gut and cause complications throughout the body. This is the basis for things like leaky gut and autoimmune-like symptoms down the road (1). Leptin is a hormone in the body that stimulates feelings of fullness after a meal. How well it is signaling dictates your hunger levels and how much fat you will tend to store on your body. If you are leptin resistant, your brain and metabolism will not communicate properly and your fat loss pursuits will be hampered. Things like poor sleep, stress, binge eating, and chronic caloric restriction can all contribute to leptin resistance (2). Luckily, a ketogenic diet should be able to reset leptin receptors and get your body back into the fat burning state. For most people this takes about 6-8 weeks, so if you are in the early stages and stressing over not losing weight this may be why. Give it some time and you may break through a barrier. The above tips are simple trouble shooting guidelines you can use to make sure you are doing everything right on a ketogenic diet. If you have addressed the above and are still finding that you are struggling to lose weight, there are typically two common scenarios that people fall into. They are struggling with some type of thyroid or adrenal issues that are affecting their body’s ability to burn fat effectively. They are simply not enduring enough stress to stimulate their body’s fat burning mechanisms. If you are having thyroid or adrenal problems, you will likely have a hard time adapting to a ketogenic diet. These individuals need to focus on optimizing sleep, reducing stress, grounding, getting into nature, low-intensity exercise, thyroid support, and cortisol reduction strategies. For thyroid and adrenal support in one package, I often recommend Thyroid Strong as it contains the full spectrum of nutrients and glandular extracts to support every aspect of thyroid hormone conversion and hormonal regulation from the brain. I often recommend Cortisol Defense as simple way to mitigate elevated cortisol levels which can cause elevated blood sugars and inhibit progress on a ketogenic diet. Oftentimes, individuals will know if they have thyroid or adrenal issues. If you suspect either of these, but are not sure, using a Complete Thyroid Panel and a Dutch Test can pinpoint both. In contrast to the group of people outlined above, there are also people who simply need to engage in strategies to boost their metabolism and enhance fat burning while on a ketogenic diet. Essentially, these people need to endure certain types of stress that will activate fat burning. The following are powerful weight loss hacks for when fat burning just isn’t happening for you. HIIT stands for High-Intensity Interval Training. This is basically a short-duration workout that involves rapid bursts of exercise involving large groups of muscles. Engaging in this type of exercise improves mitochondrial function and stimulates a process called mitochondrial biogenesis (growth of new mitochondria). Doing so, you also significantly increase your body’s ability to burn fat and improve weight loss (3). 2-4 workouts a week in a HIIT style may be one of the beneficial weight loss hacks for you to start implementing into your routine. The following graphic outlines a workout that you can try right away. Resistance training, such as lifting weights, placing a heavy amount of stress on the muscles being targeted. While cardio seems to burn more calories during the actual workout compared to resistance training, building muscle is actually a great way to increase your resting metabolism which keeps you burning fat after your workout has been completed (4). Lean muscle mass is actually one of the most metabolically active tissues in the body. If you have more muscle, you will tend to burn more fat! Other studies have also shown that lifting weights increases you metabolism for several hours immediately following your workout (5). This is especially good to do when you are fasted for more than 6 hours before your workout. For example, I like to finish dinner at 6pm and fast (drink lots of hydrating beverages though) until 12-2pm the next day and workout around mid-day and then consume a healthy fat burning meal after the workout. To take these benefits to the next level, you can combine resistance or HIIT training with fasting to supercharge your metabolism. For example, I like to finish dinner at 6pm and fast (drink lots of hydrating beverages though) until 12-2pm the next day and workout around mid-day and then consume a healthy fat burning meal after the workout. Using essential amino acids and ketones during your fasted workouts can help you maintain and build muscle mass. I usually take KetoEdge (which has exogenous ketones, branched chain amino acids and adaptogens) about 30 mins before my workout and then our Amino Strong right after the workout to boost performance and lean muscle tissue development and improve exercise recovery. Intermittent fasting is the practice of confining your eating window to a smaller amount of time than usual. This means you go longer between your last meal one day and your first meal of the next. Different styles of intermittent fasting are great for optimizing insulin sensitivity, inflammatory responses in the body, and increasing growth hormone in the body. These are all things that are important to consider when attempting to burn fat. If you have never attempted intermittent fasting, start with a 12-hour fasting window where you finish dinner at 6PM one night and don’t eat again until at least 6AM the next morning. Every two weeks increase this fasting window by 2 hours, progressing up to 14 and eventually 16 hours of fasting each day. Some people do well extending beyond 16 and up to 18. Listen to your body, see how you feel, and choose the fasting window that works the best for your lifestyle. Here is a detailed article, where I go over exactly how to get started with fasting and how to progress. While following a strictly ketogenic diet can be powerful for a month or two to get the body adapted to fat burning, eventually adding in carbs periodically will be important. It is the cycling in and out of ketosis that seems to provide the maximum benefits for the metabolism and burning fat. For fasting weight loss hacks, simply choose one meal (or one day) out of the week and increase your carb intake. Smart carb choices include sweet potatoes, fresh berries, and white rice cooked in coconut oil. It is at this point that many people will start to break through their weight loss plateaus. The body produces heat by releasing it from the mitochondria as needed. Exposing your body to cold stimulates this process which also speeds up the metabolism and increases your ability to burn fat. To start out, simply turn your shower to as cold as it can go for 30 seconds at the end of your bathing time. As you become comfortable with that, increase this time as you can handle it, even up to 100% cold showers if you wish. For those who are very extreme and are well adapted to the cold, partaking in ice baths a few times per week can be the next level to progress to. Exposing your body to extreme temperature changes is excellent for boosting the metabolism, which brings us to one of the next weight loss hacks. Saunas have been around forever. What started as an intuitive and enjoyable practice, is now being highlighted as a powerful health strategy in many aspects. Many of my clients have found this to be one of the best weight loss hacks. Several studies on regular sauna use have identified different mechanism by which it can stimulate fat loss. For one, sweating helps to detoxify the body and rid of harmful toxins that can throw off hormones and contribute to weight gain (6). Try getting in 2-5 sauna sessions per week of 15-30 minutes and see how this effects your weight loss goals. Are Your Weight Loss Goals Reasonable? In some cases, weight loss goals may be a little too ambitious. Everyone tends to have a unique weight that their body tends to gravitate towards. If you have already lost a good bit of weight and have come to a stand-still, consider if the weight you are at may be a healthy weight for you. It is not uncommon for people to become highly obsessed with attaining weight loss to the point where it becomes a chronic stressor in their lives. Remember that if you are making all of the right choices, your body has an amazing wisdom that will guide you towards your ideal weight. Also consider how long you have been following this lifestyle. The ketogenic diet is an excellent weight loss strategy, however if you don’t lose 50 lbs in 4 weeks, that’s okay. Stick with it, take pride in knowing you are nourishing your body with the right foods and benefits will come as your metabolism changes. It is a process! 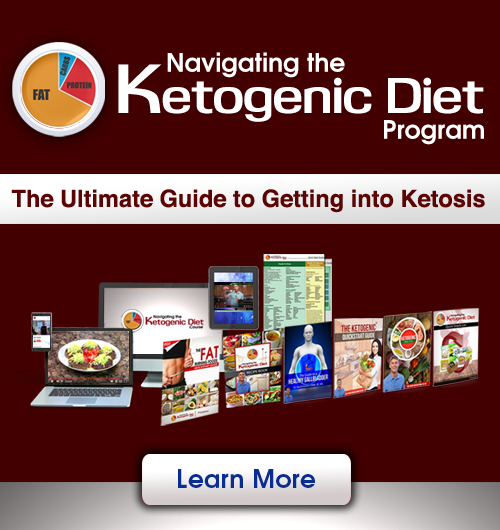 The ketogenic diet is a powerful weight loss strategy that seems to be superior to low-fat or low-calorie diets (7, 8). That being said, not everyone will experience dramatic weight loss right away. Sometimes there are factors that must be addressed to further support the metabolism and improve fat burning such as thyroid issues, adrenal issues, common ketogenic diet mistakes, and using weight loss hacks to support your mitochondria. You don’t need to apply all the weight loss hacks at once, try adding one or two that seem the most appealing and see how your body does. Implementing the tips above should be very helpful in helping you break through your weight loss plateaus. If you are still struggling to achieve your goals, consider if your weight loss goals are realistic and get in touch with a health coach you can help you troubleshoot any challenges you are facing. Thank you for another great article. You provide such wonderful information. Could you address keto friendly sweeteners as a possible problem? Everyone assures me that they eat “keto treats” with abandon. I come from a background of a bad sugar addiction and I was doing great on a ketogenic diet. However, once I started making keto treats like bulletproof ice cream, chocolates and cookies with swerve or erythritol, my cravings went bananas. I can see they don’t effect my glucose, but could they be having an impact on insulin that’s making me savage just like I used to do with sugar? I can’t eat just one, I eat a whole recipe. And, now I’m out of ketosis and having trouble getting back into it because of my wicked cravings. And, my guts are a hot mess – rumbling, gas, heartburn. Any thoughts? Thank you! While I agree with most all of what you have in the article (even the spelling errors), there is absolutely no way for me to be 184 lbs at 6′ tall. For my build, it would simply not be healthy. Could be with a more muscular build Rev! Either way, that is a maximum so glad you are in tune with where you feel is best for you!